Bryce Harper's No. 3 Phillies jersey supplants the Yankees' Aaron Judge as the most popular in baseball. NEW YORK — The new No. 3 is the new No. 1. Major League Baseball says that Bryce Harper has the sport’s top-selling jersey, ending a two-year reign for Aaron Judge’s No. 99. Harper signed a $330 million, 13-year deal with the Philadelphia Phillies this spring, and his new No. 3 jersey set professional sports records for sales in 24 and 48 hours, according to online retailer Fanatics. His fresh get-up has been the top-selling jersey on MLB.com since Jan. 1, 2019. Harper overtook Judge, the New York Yankees’ 6-foot-7 slugger who had topped the list since his breakout rookie season in 2017. Reigning AL MVP and World Series champion Mookie Betts of the Boston Red Sox is third, two-time AL MVP Mike Trout of the Los Angeles Angels is fourth, and veteran St. Louis Cardinals catcher Yadier Molina is fifth in figures released Thursday. The Chicago Cubs are the only team with two players in the top 10: Javier Baez at seven and Anthony Rizzo at nine. Manny Machado placed 12th, making him the first San Diego Padres player to crack the top 20 since MLB began publicizing it in 2010. Machado signed a $300 million, 10-year deal with San Diego this winter. Now-retired Seattle Mariners outfielder Ichiro Suzuki was 13th. DODGERS: Clayton Kershaw was placed on the injured list, officially ending his franchise-record streak of eight consecutive Opening Day starts. The move is retroactive to Monday, allowing Kershaw to return by April 4. 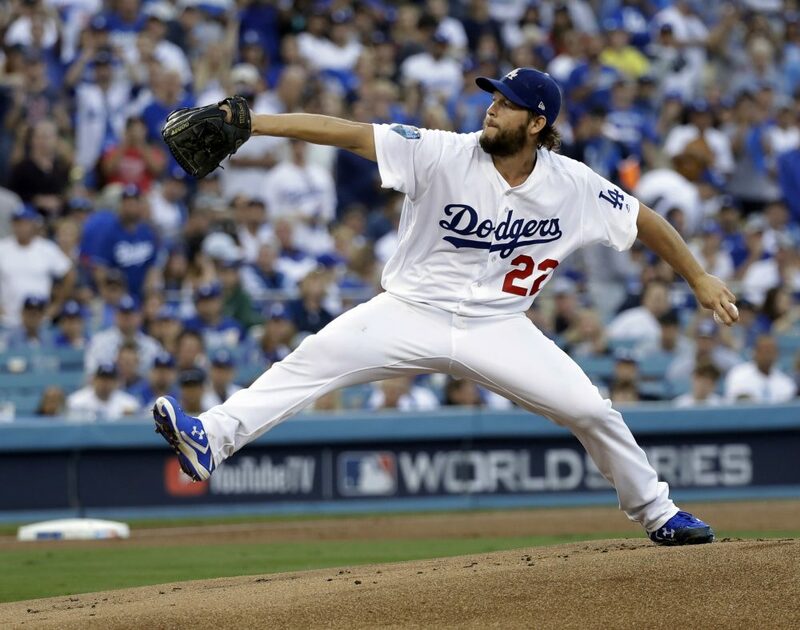 Kershaw developed inflammation in his left shoulder early in spring training, but the Dodgers waited nearly a month to determine whether Kershaw could be ready for Opening Day. BREWERS: Reliever Corey Knebel will decide Friday what to do about his ailing right elbow. Knebel has a partially torn ulnar collateral ligament. He could have Tommy John surgery and then return at some point next year, or try to rehab the injury. PIRATES: Outfielder Lonnie Chisenhall was put on the 10-day injured list with a broken right index finger, one of six Pittsburgh players sidelined to start the season. The Pirates signed Chisenhall this month as a free agent to fill in while right fielder Gregory Polanco recovers from a torn labrum in his left shoulder. Polanco is expected to return by mid-June.